In times of demonising of the welfare-state and the figure of the worker, it’s worth watching Ken Loach’s documentary on the spirit of post-war Britain. 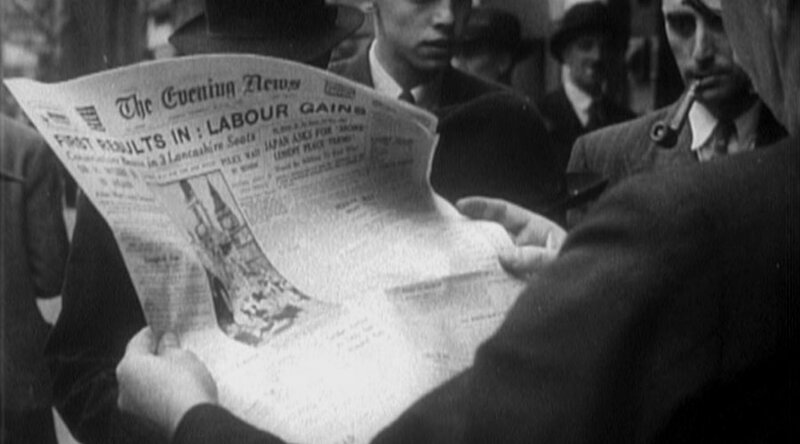 Ken Loach’s The Spirit of ’45 starts with the dilemma posed for workers at the end of the Second World War. After having been mobilised to defeat fascism, shouldn’t they collectively struggle to improve labour conditions in times of peace? No one wanted to go back to the previous times of exploitation and misery. While employers lived in ostentation—and imperial Britain was one of the wealthiest nations of the world—people were working and living in abject conditions. Profits and usury were more important than workers’ lives. They knew what happened after the First World War and during Great Depression. Unemployment and homelessness were not to be repeated. Workers’ democratic control of the economy was a felt need and they knew the power was in their hands to make real change happen. It was in this context that the Labour Party won the elections by a landslide majority against the Conservative and war hero Winston Churchill. Their programme of social reforms was based on democratic rights, housing for all, improved working and living conditions, full employment, social protection, decent wages and wealth redistribution. To implement their programme, Labour nationalised all the strategic and natural monopoly sectors—such as transport, energy and industry, allowing for the benefits of central planning against the logic of profit—and created a welfare state system. Health, safety and environmental norms were implemented, wages were increased and contracts regulated against daily hiring. A massive programme of house building and urban planning was conducted to end slums and degrading living conditions of millions of workers, proving affordable, comfortable and environmentally safe public-owned houses for rent. The National Health Service was created, providing care to everyone regardless of one’s ability to pay, removing any money incentives in the relation between patient and doctor. These reforms marked a huge shift in labour-capital relations, for the first time providing dignified working and living conditions for many and turning them into citizens with democratic rights. Common ownership instead of private property and working for the common good instead of individualistic interests were part of the “spirit of ‘45”. This was the spirit of “one for all and all for one”, giving a sense of belonging to a community of equals in which cooperation, solidarity and mutual-aid were main values. There were reasons to be proud of being a worker and a citizen. All of this started to collapse with the long depression initiated in the mid-1970s, putting into evidence the fragility of working-class conquests. Elected in 1979, the Conservative government led by Margaret Thatcher applied a brutal programme of neoliberal reforms. This was based on the destruction of the welfare-state, private housing ownership, flexibilisation of labour, privatisation and the commodification of common goods. The spirit was that of the 19th century, combined with the return of social conservatism and state authoritarianism. How can Thatcher’s electoral victory be explained in a country where socialist reforms were put forward to the benefit of the working-class and social hegemony was on labour’s side? The documentary offers some hints, bringing back the issue of democracy. Socialising the means of production did not go further than replacing the “corporate bureaucracy by the state bureaucracy”. Old social power structures produced by capital’s logic were not dissolved. There was no direct involvement of workers in the nationalised sectors, or of users in the public services. As a worker mentions in the documentary, for instance, the national coal board was constituted by the ones previously exploiting the workers and going against nationalisation. Clientelistic relationships were therefore easily installed, making social conquests vulnerable to counter-reforms. 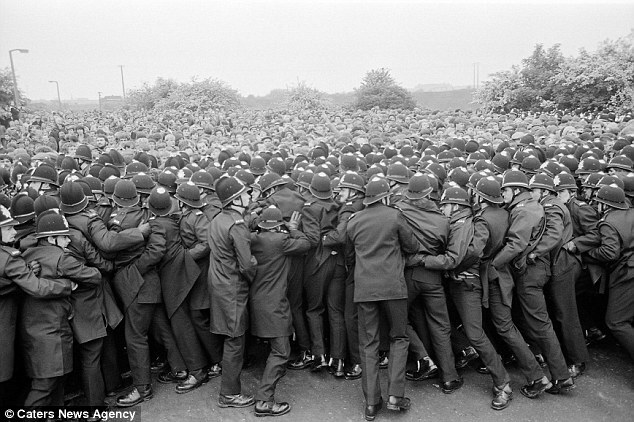 The film shows, for example, how bureaucratic trade-unions broke the labour movement during the miners’ strikes in the 1980s, reducing their ability to oppose Thatcher’s politics. Without an organised and strong labour movement, neoliberal reforms had few barriers to move further. On the other hand, production was planned to meet capital’s international demands and not so much social and environmental needs. Therefore, not only it played a role in strengthening “uneven and combined development”, as it made the economy dependent on the global economy’s cyclical ups and downs. The end of the film shows images of anti-austerity resistance struggles from the Occupy and UK Uncut movement, especially to protect one of the most important victories of the spirit of ‘45—the National Health Service (NHS). Like their predecessors, present struggles also demand the democratic control of the economy against capital’s interests. They share with past struggles the dream of building a better world. But, as someone says: “now people do not know they have the power to change things”. The spirit of ‘45 helps us to connect past and present struggles and to overcome today’s sense of political disempowerment. The documentary shows that change is possible. In times of fierce austerity and authoritarianism this is not irrelevant. As Walter Benjamin long ago said, “The only writer of history with the gift of setting alight the sparks of hope in the past, is the one who is convinced of this: that not even the dead will be safe from the enemy, if he is victorious”. The past also provides ground for critical analysis and guidance for action. What can we learn from the spirit of ‘45 and the neoliberal offensive that followed? One first lesson is that struggle makes all the difference, with the capital-labour divide being still the fundamental social antagonism. It is true that today industrial labour is no longer dominant in advanced capitalist countries, having given place to a much more differentiated and fragmented proletariat. This poses real challenges for the worker’s movement. But labour isn’t gone, and neither are capital’s attempts to increase exploitation and dispossess the workers. Indeed, the neoliberal order is based on capital’s efforts to unbalance the distribution of wealth through attacks both on the “direct” wage and on social protection (the “social wage”) through austerity. A second lesson is that taking state power is necessary to bring about a socialised economy. Elections can be an important moment in this sense. Socialist reforms since 1945 were only possible through a Labour victory, whereas the neoliberal turn was enacted after Thatcher took power. Yet, the Spirit of ‘45 also shows us that elections are only tools and that reforms are not enough. Real change is only possible with the deep transformation of the state and of old social structures. This implies the radicalisation of democracy, the explosion of social creativeness and the opening of bottom-up processes for people’s control, participation and decision-making. While public property, central planning and social solidarity have shown their benefits as socialist politics, they have also shown their risks when conducted from top-down approaches leading to bureaucracy. The question is not to choose between representation and direct democracy, central planning and decentralised organization, social solidarity and local and networked solidarities; it is, instead, how to combine them to build a better post-capitalist future for all. A final lesson relates to production. Changing the ownership of the means of production and democratic planning are necessary to respond to social and environmental needs. Yet, they are not sufficient. If they don’t involve the transformation of the models of production, whose logic was developed by capital, contradictions will arise. As it is not possible to beat capitalism through reforms, also it isn´t by following capital´s models and its logic of competition. Adopting different models is necessary. And so is internationalism, because socialism in one country has never proven to be viable.